of comfortable, durable clogs and shoes. urses do a lot of things during the day, from delivering babies to ensuring that patients go home with exactly what they need to stay healthy. But unlike most professionals, nurses do it all while on their feet. That means a good pair of shoes is invaluable. Enter Dansko shoes. These super-comfortable nursing shoes are unique in that they combine big-time comfort with accessible style, so they're perfect for healthcare professionals. Why are comfortable shoes so important? 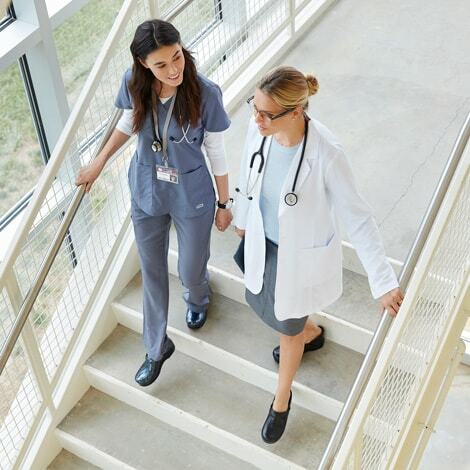 Studies show that nursing professionals have a higher likelihood of developing musculoskeletal disorders due to daily activities that require prolonged standing or walking. The same studies found that nurses can counterbalance pressure to the legs, feet and knees by wearing shoes with a relatively low heel height and extra arch support in order to minimize foot pressure and impact force that leads to musculoskeletal issues. Dansko has over two decades of producing hard-working clogs, heels and sneakers made specifically for nurses and other professionals. It all started when founders Mandy Cabot and Peter Kjellerup took a trip to Europe and saw a simple pair of stapled clogs in a shoe store. The duo mimicked these heavenly clogs and introduced them to the American market shortly thereafter. It didn't take long for word to spread; Dansko credits its success to word-of-mouth advertising. And it's no surprise why Dansko fans wanted to spread the gospel. These shoes are made to meet the highest standards of comfort, support, fit, durability and performance. Step into Dansko's eco-friendly headquarters in Chester County, Pennsylvania and you'll see a team dedicated to designing, testing and manufacturing high-quality nursing shoes that make on-their-toes professionals happy every single day. This includes the super-popular Dansko Pro XP clogs and other comfortable healthcare shoes. So why are Dansko shoes so great? It starts with what they're made of. Every single pair of Dansko nursing shoes is produced with comfort-focused materials and supportive features to help reduce pressure points when you're working on your feet all day. Dansko puts an emphasis on extensive testing to ensure that their shoes are as comfortable and hard-working as your favorite pair of nursing scrubs! High-Tech Midsoles - The midsole is the layer of your shoe between the inner and outer sole that provides shock absorbency. Dansko nursing clogs are made with unique lightweight, anti-fatigue EVA midsoles that help provide essential shock absorption during all-day wear. Some also feature contoured midsoles for extra comfort. Moisture-Wicking Linings - As unpleasant as it is, our feet sweat, especially when we're working in high-energy, high-pressure environments. Dansko professional moisture-wicking shoes are equipped with a comfy lining that helps wick away moisture to keep your feet dry. Some styles have linings with antimicrobial treatments to help control odor. Anti-Fatigue Rocker Bottoms - Dansko nursing clogs are finished with their legendary anti-fatigue rocker bottoms that help reduce fatigue when you're on the go all day. If you find yourself running from triage to room and back dozens of times throughout your shift, be sure to choose a pair of Danskos with an anti-fatigue bottom. Ample Foot and Arch Support - Dansko shoes are really big on support. They often feature a protective heel counter to allow the heel to move up and down freely while providing lateral stability and have padded collars to prevent blisters and pressure points on the feet. 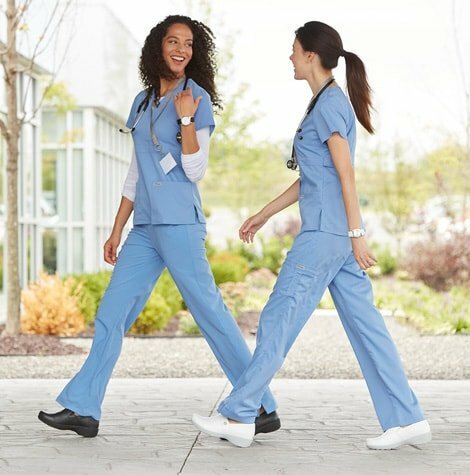 Besides the fact that they're some of the most comfortable nursing shoes on the scene, Danskos are also uniquely designed for the healthcare professional. 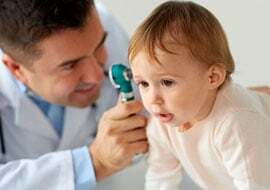 That means they have features and specifications that help them excel in doctor's offices, hospitals, clinics and other healthcare environments. Removable Components - Some pairs of Dansko clogs have removable foam footbeds and other components designed to help you customize and clean your Dansko shoes. These removable pieces are especially convenient for nurses who need to wear orthotics throughout the day, since they can be removed to accommodate for inserts. Non-Marking Soles - Did we mention that Dansko is all about testing? To ensure that their shoes perform well in healthcare facilities, they've tested them to ensure they're non-marking on wet, dry and oily indoor surfaces. These soles are also slip-resistant to keep you safe while you're working just about anywhere. Dansko offers slip-resistant shoes for women and men in many healthcare roles. Durable and Easy to Clean - Dansko clogs come in an assortment of different materials, including box leather and patent leather. Both of these materials are designed to clean up easily after a long shift, even if you're working in environments with wet, acidic or greasy conditions. Easy On, Easy Off - One of the best parts about the Dansko nursing clog is its amazing versatility. You can easily slip them on when you're heading out the door and then slip them off after a long shift. They're also popular among O.R. nurses and other professionals who need to be able to quickly put on and remove shoe covers. 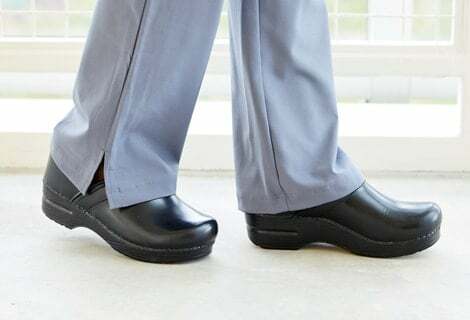 Dress Code Ready - Dansko produces a wide range of classic, stapled nursing clogs that are specifically designed to meet most hospital dress codes. Many dress codes require that employees wear protective shoes with non-marking soles in order to prevent damage to the facility's flooring. With all this comfort and practicality, you'd think that Dansko would have to compromise somewhere. Fortunately, the company is big on producing stylish nursing shoes that don't take away from your personal look. 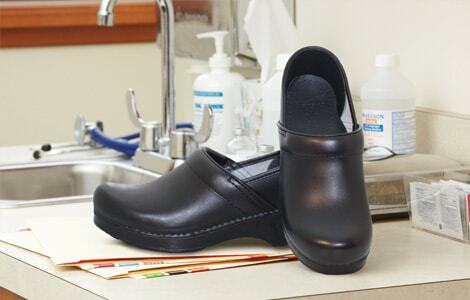 Their nursing clogs feature a classic clog silhouette in your choice of an open or closed back. But Dansko nursing shoes have evolved in the past several years, and the company now offers many non-clog styles, including nursing Mary-Janes, sneakers and heels. These shoes are similar to scrubs in that they come in an endless variety of colors and patterns to suit your day-to-day or special-occasion style. For example, the popular Dansko Unisex Nursing Shoe comes in 14 unique colors and patterns, ranging from solid brown and black to brightly colored, kaleidoscopic prints. Dansko also produces a range of nursing sneakers and lace-up athletic shoes that combine comfort and practicality with sporty style. Another reason nurses love Dansko shoes is because the company operates on an ethical, eco-friendly model. Its Pennsylvania headquarters is LEED® Gold Certified and features a unique, vegetated roof that helps insulate the building to reduce heating and cooling usage. With two-thirds of the roof covered in plants, it's able to absorb up to 80 percent of rainwater to minimize runoff. Of course, the company also uses wind and solar power to minimize its carbon footprint. Not only that, but Dansko is 100 percent employee-owned. In 2012, the brand introduced a new employee stock ownership plan that put the company in the hands of Dansko employees. That means that its 180 employees are the sole owners, so to speak. Dansko believes this is a particularly ethical business model because it gives employees total control over their work environment and helps invigorate them to succeed in every aspect of the business. We know it can be difficult to know which type of Dansko shoes is most appropriate for your unique preferences and work environment. These healthcare-friendly kicks come in a wide variety of options and materials. When shopping for nursing shoes in general, you should focus on a few important factors, including support, slip-resistance, weight, price and work function. Start here if you're looking for advice on which pair of Danskos to buy. We love the Dansko Pro XP collection as a reliable and versatile pair of nursing shoes. These lightweight nursing clogs are always some of our nurses' favorite shoes because they feature comfortable, cushioned insteps and coring holes to reduce weight. 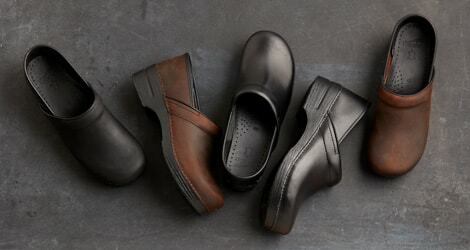 Our selection of Dansko professional clogs includes open and closed heel styles with the same performance-enhancing features in a range of unique styles. 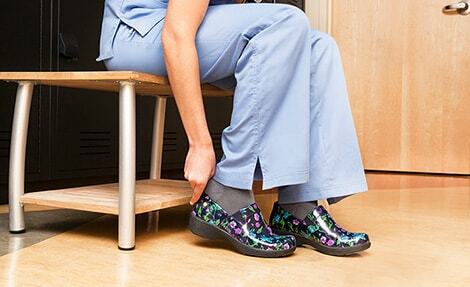 As previously mentioned, Dansko nursing shoes come in a wide range of unique silhouettes. Not all are best for all applications. All these slip-resistant shoes will help keep you safe and focused in a healthcare environment. Stapled Clog - Dansko's original shoe, the stapled clog (such as the Dansko Pro XP clogs) is a good pick for men and women. These shoes feature a closed back for extra support and no closures or laces, so they're easy to slip on and off. Slip-On Clog - This company also manufactures a popular collection of slip-on clogs with no backs that are ideal for those who prefer easy on and off. They're super simple to slip on before your shift but still feature the company's popular rocker bottom for all-day comfort. Lace-Up Athletic Shoe - Nursing tennis shoes are becoming more and more popular, and Dansko's collection is a hit. These shoes feature a more athletic design with a long-wearing outsole for a sporty look and feel. 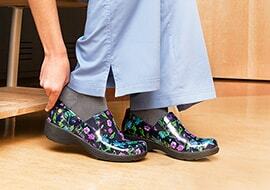 Mary-Jane - Nursing professionals who need a dressy yet comfortable nursing shoe will appreciate Dansko Mary-Janes. These cute and practical shoes feature a top buckle or strap for an extra layer of dressy style. Men's Dress Shoes - For nurses and other healthcare professionals who need a more office-casual look, Dansko dress shoes are a good choice. They feature dressier finishes, like Oxford leatherwork and smooth, leather uppers. Danskos come in a broad variety of materials, all of which are designed to fuse comfort with easy care. Many Dansko shoes feature 3M Scotchguard™ protectors to help them endure in the face of demanding healthcare environments. Leather - Dansko leather clogs are considered some of the most long-lasting options in the collection but must be cleaned using only a soft, dry cloth and specialty products such as Beeswax Conditioner. Dansko box leather is resistant to demanding workplace environments for long-term wear. Patent Leather - This material is often associated with dress shoes because it's finished with a high-shine treatment that makes it extra dressy. Dansko patent leather can be easily cleaned with a clean, damp cloth and soap and water. Suede - Suede is a popular choice for anyone who wants a little bit of extra texture and softness in their shoes. The downside is that suede is more difficult to clean, but you can remove surface debris with a soft, dry cloth. Fabric and Canvas - Dansko's lace-up athletic shoes and slip-on sneakers are often made from rugged fabric and canvas. These materials are durable and easy to clean. One of the best things about Dansko nurse's shoes is that they come in a wide range of sizes, including various widths. That means you can customize your fit no matter your shoe size. Width - The majority of Dansko products are produced in medium width, but they also offer a collection of comfortable shoes in narrow and wide. Length - Because of the fact that Danskos are modeled after European shoes, the company generally uses European sizing. The brand offers women's sizes from 35 (4.5 U.S.) to 43 (12.5 U.S.) and men's sizes from 41 (7.5 U.S.) to 48 (14.5 U.S.). If you need more information on sizing Dansko shoes, click on the size chart tab on each product page. Heel Height - According to research, nurses should wear shoes with a heel height that doesn't exceed two inches. Dansko's stapled clogs have a heel height of two inches on the dot, but the company produces many shoes with heel heights ranging from one to three inches. If you're in the market for a pair of reliable shoes to help alleviate pain while on the job, we can't recommend Dansko enough. In addition to their comfortable constructions, Danskos are well-known in the industry for being durable and long-lasting. When you invest in a pair of Danskos, you can rest easy knowing they'll be with you for hundreds of shifts to come. allheart.com has Dansko shoes to suit every single budget and style profile. We also often offer Dansko shoes on sale and other special promotions to help you nab a pair of these high-quality nurse's shoes for less. What's more, we always offer free shipping on Dansko. When you purchase a pair from our store, all other items in your cart will ship free!